Broccoli offers natural skin protection. 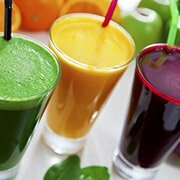 If you are often exposed to UV rays, drinking broccoli juice will help keep your skin healthy. 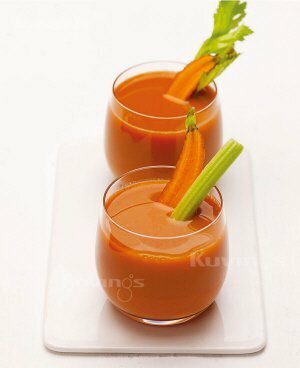 Carrots are rich in substances that help relieve stress and promote good vision. They are also good for reducing anxiety and nervousness from stress. Rather than choose washed and packaged carrots, choose ones that are covered in dirt and have the stems still intact. Carrots that have a deeper orange colour and a thin skin taste better.